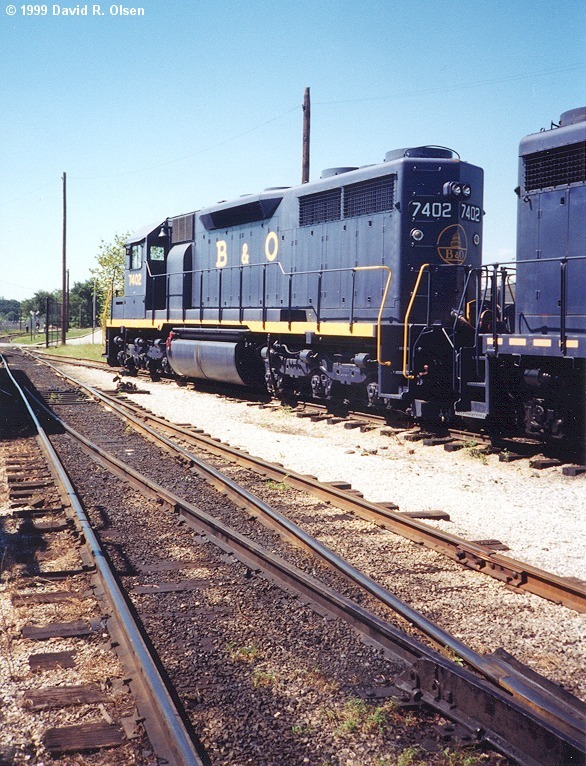 If you happen to be in Baltimore, please visit and support the B&O Railroad Museum. 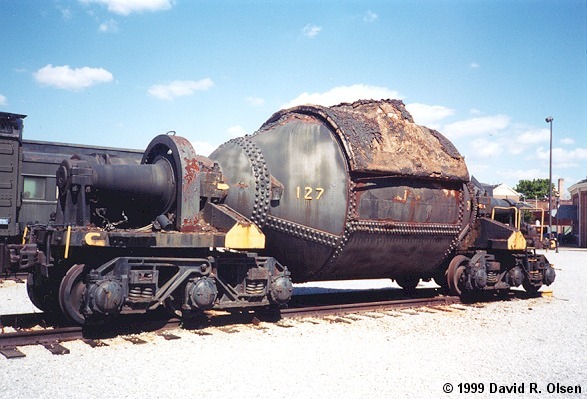 They are dedicated to preserving and restoring historic railroad equipment. Here is a sample of their great work. 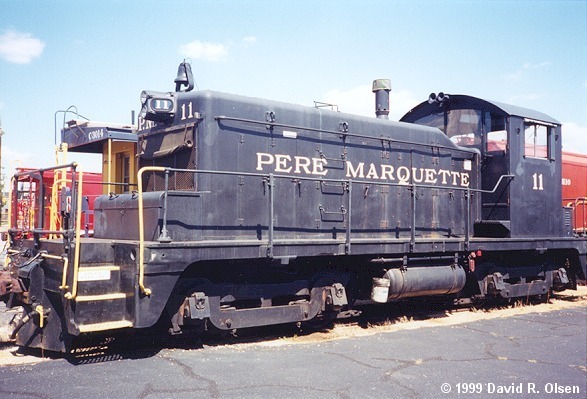 Pere Marquette SW1 No.3684 - This switcher was built in April, 1942. 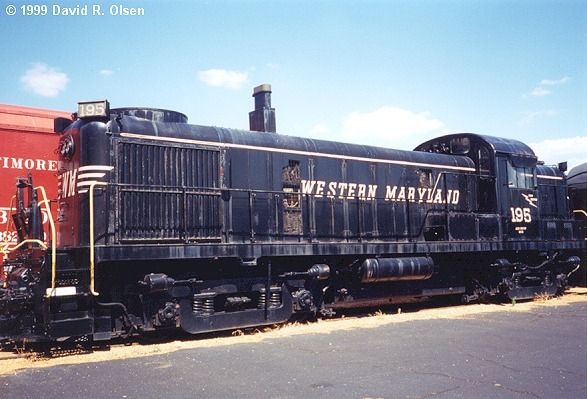 Western Maryland RS3 No.195 - This diesel was built in December, 1953. 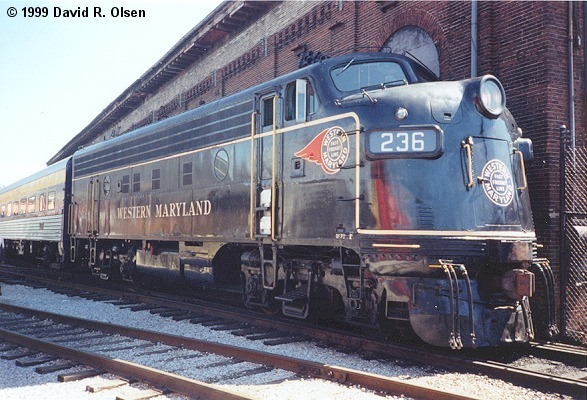 WM F7A No.236 - This unit pulls the Museum's excursion train on the short right-of-way out to the CSX mainline. 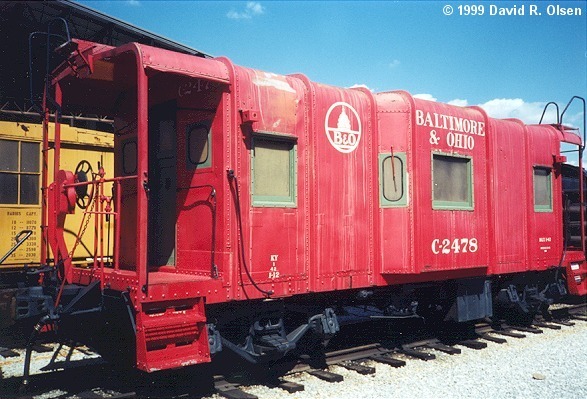 B&O No.C-2478 A Class I-12 caboose. 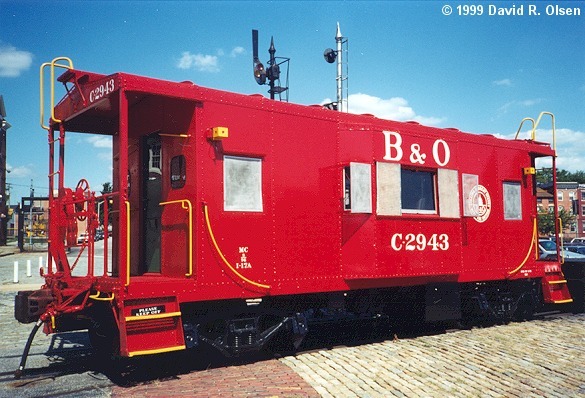 B&O No.C-2943 A beautifully restored Class I-17A caboose. 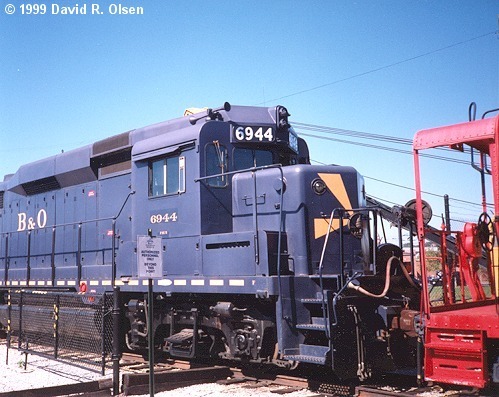 B&O No.904032 This Class C-27A caboose was repainted for CSX Transportation in this commemorative scheme by the B&O Museum shops. 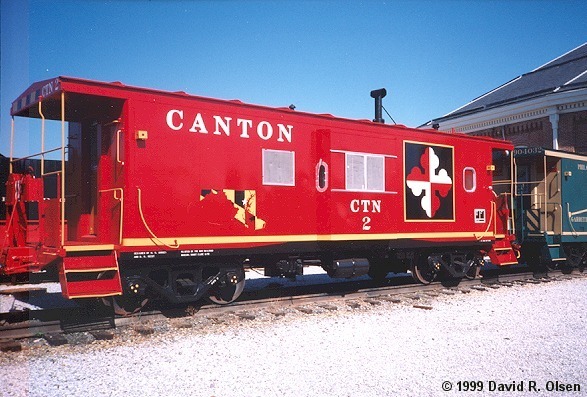 Canton No.2 This ex-B&O Class C-26A caboose was painted by the B&O Museum shops for the Canton Railroad, a small shortline servicing industries in Baltimore. Note the small oval windows on the ends of the bay window, differentiating the C-26A from the C-27A above. 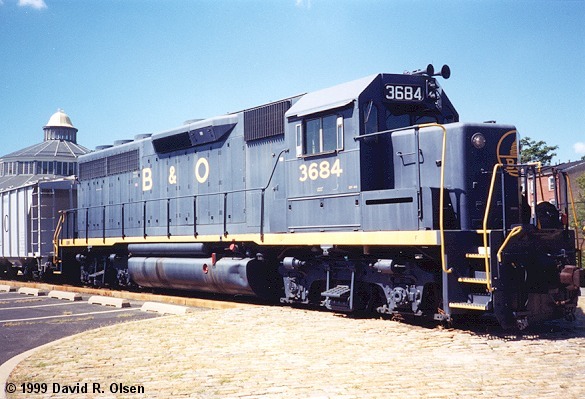 B&O GP30 No.6944 This GP30 has been restored in the famous B&O sunburst scheme - I apologize for not capturing the whole locomotive, it was the last frame on the roll!. Photos Copyright 1996 by David R. Olsen. 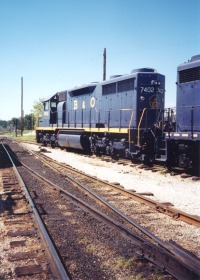 Please note: This page in no way reflects the policies or opinions of the B&O Railroad Museum.